AUSTIN, Tex. — South by Southwest is about music, lots and lots of it: 2,000-plus bands over six days. But partly as a result of there being so much music, the festival is also about attention-getting stunts: bands playing up to a dozen gigs in unusual spaces, announcing last-minute performances on Twitter, teasing crowds with “TBA’s” on schedules. This year Jack White, formerly of the White Stripes, has one of the better stunts, a yellow and black truck representing his Nashville-based record label and studio, Third Man. Why go to a club to listen to an album all the way through when you could do that at home? It's a good question but here's another: When was the last time you got all the way through a great album at home without being interrupted or distracted? Be honest, it's virtually impossible in 2011 to focus exclusively on 45 minutes of music in a domestic environment. As a result most of us have taken to listening whilst doing email or surfing the web or cooking or cleaning. This has to stop. There are certain albums that deserve to be given serious undivided attention and the Real Record Club is a place where that can happen. interesting story from southern illinois, wish we had something like this close to home...a great spot for local bands! Today’s younger music fans may be more likely to put a vinyl record on their bedroom wall than on a record player, but that doesn’t mean this not-so-forgotten medium has fallen completely out of favor. 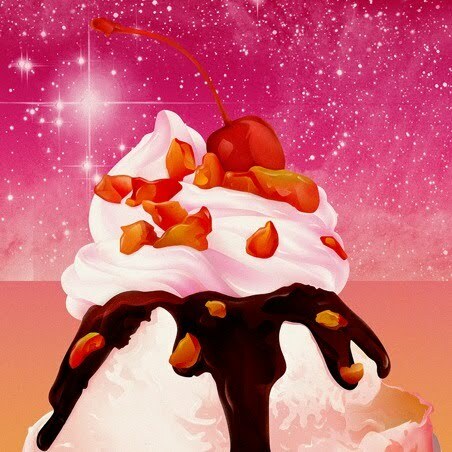 On April 16, a day dedicated throughout the country as Record Store Day, Kiss the Sky in Geneva will actually release a new original album featuring a lineup of Fox Valley musicians – on vinyl. As cool as it would look on some teenager’s wall, the record, “Made in Aurora,” serves to remind local music fans that records and the stores that sell them still deliver musical satisfaction every day to those who’ve made a point to preserve the medium. Primus have confirmed a headlining tour for this summer, starting on May 19th at the Murat Theater in Indianapolis, IN and wrapping up at Bonnaroo Music & Arts Festival in Manchester, TN. The tour comes in anticipation of their upcoming album, with a late spring/early summer release on ATO/Prawn Song Records. Hear a cut from the Capricorn Rising EP, "The Third of the Storms"
As co-founder of the Italians Do It Better label, Mike Simonetti has been putting out records from Italo disco-inspired artists for more than a minute now. This April, Simonetti will step out on his own with the Capricorn Rising EP, which will see release on the label. 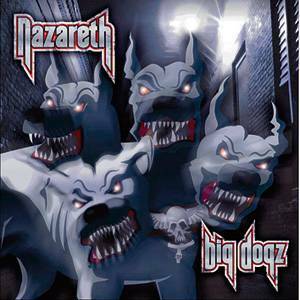 New York, NY(Hollywood Today)3/16/11—Eagle Rock Entertainment, through earMusic, is proud to announce the release of Big Dogz, the new studio album from legendary Scottish rockers Nazareth. The CD hits stores May 10, 2011 [MSRP $13.98]. Produced by guitar player Jimmy Murrison and sound wizard Yann Rouiller, the album’s production avoids the trappings of traditional polish in an effort to capture the challenging edge of classic rock’n’roll. Obviously, this is one band that has stuck to its guns not giving an inch for trends and fashion. Like Motorhead, AC/DC or The Ramones, their personal vision supercedes any inclination whatsoever to follow the pack. The result of this hard-headed singularity? Sixty million albums sold in a glorious 41-year career. Nazareth has invested their time in finding the original sound and spirit of the ’70s, when rock bands expressed values and ideas only through their instruments, an amp and a mic. To this end, they’ve completed an album with nearly no overdubs or multiple takes, no vocal lines or solos adjusted through a computer. The new Nazareth album is what the band really is: four men who live rock music, recording together in the same room at the same time, showing what they really are, and what they really want. One of the purest diamonds of Rock music, Big Dogz, will surely join their previous albums No Mean City and Hair Of The Dog in the most representative episodes of a glorious history. Melvin Sparks, the legendary acid jazz guitarist, has died of heart failure at his home in Mt. Vernon, New York. He was 64. Sparks first surfaced in the ’60s and ’70s as a soul-jazz guitarist (famously backing Lou Donaldson on the funk-jazz classics “Everything I Do Gonna Be Funky,” “Hot Dog,” “Donkey Walk” and “The Caterpillar.”) and later played a key part on the acid jazz movement of the ’90s. A new live album from David Bowie, featuring a number of high-profile guests, is set for release on April 26. The aptly-titled Birthday Celebration – Live in NYC 1997, features tracks from a show staged at Madison Square Garden on January 9, 1997, to commemorate Bowie’s 50th birthday (which actually occurred the previous day). I've been following this site musiconvinyl.com for a while and want to introduce you to them. they release some great, collectible vinyl. first, just who is musiconvinyl.com? Music on Vinyl is a vinyl only record label that releases high quality 180g LP and 7" vinyl pressings of titles licensed from a wide range of record companies and artists who control their own repertoire. These will be both re-issues of classic titles, or a simultaneous vinyl release to compliment a CD/DVD release. These will all be marketed under the Music on Vinyl brand, which vinyl lovers worldwide recognize as a trusted name providing a superb LP vinyl product. Nina Simone said that she'd rather have people remember her for her album Nina Simone 'And Piano!' than for her surprise hit 'My Baby Just Cares For Me'. And when you listen to the album, you fully understand why. This is Nina Simone stripped bare; an introspective, intimate album about death, reincarnation, loneliness and love. Be sure to check your favorite shop later this month for another Music On Vinyl beauty of Nina Simone: 'Silk & Soul'. Sam Duckworth is Get Cape. Wear Cape. Fly., the Southend-born troubadour who named his solo-project after the solution to an old Batman computer game. We bring you his third and self-titled album that features guest-appearances by Shy FX & Baaba Maal. Screaming Trees is considered as one of the ''Godfathers of Grunge''. Screaming Trees rose to fame as part of the grunge movement of the early 1990s, along with bands such as Alice in Chains, Pearl Jam and Nirvana. We are proud to present you with their 7th and final album "Dust". 'Kerrang!' Magazine selected Dust as the best album of 1996 in their year-end awards. In the early 1960s, The Chambers Brothers, four brothers from Mississippi, started to venture outside the gospel circuit, playing at coffeehouses that booked folk acts. The group became part of the wave of new music that integrated American blues and gospel traditions with modern psychedelic and rock elements, spawning a heady mix integrating all these factors. The Chambers Brothers are best known for their 1968 hit record, the 11-minute long epic 'Time Has Come Today'. In 1956, the movie 'Rock Around The Clock' premiered in Washington, DC. The film featured performances by Bill Haley, The Platters and Little Richard. In 1957, Elvis Presley buys the Graceland mansion from Mrs. Ruth Brown-Moore for $102,500, outbidding the YMCA's offer of $35,000. The 23 room, 10,000 square foot home, sitting on 13.8 acres of land, would be expanded to 17,552 square feet of living space before the king moved in a few weeks later. The original building had at one time been a place of worship, used by the Graceland Christian Church and was named after the builder's daughter, Grace Toof. In 1958, the Coasters record what will prove to be their only US number one hit, "Yakety Yak". In the UK, it reached #12. 1968 - The Bee Gees made their U.S. television debut on the "Ed Sullivan Show." They performed "To Love Somebody" and "Words." In 1970, Eddie Holman received a Gold record for the single, "Hey There Lonely Girl", originally recorded by Ruby and the Romantics under the title, "Hey There Lonely Boy" in the 1960s. In 1973, Dr. Hook & the Medicine Show’s single, “The Cover of the Rolling Stone,” peaked at #6 on the U.S. chart, but was banned in the U.K. by the BBC, due to rules about product placement. In 1982, Samuel George, Jr., lead singer of The Capitols, who had a U.S. # 7 single with “Cool Jerk” was killed, aged 39, after being stabbed during a family argument. In 1984, Van Halen's "Jump" peaks at #1 in the US and #7 in the UK. Over the years, David Lee Roth has given various accounts of the meaning behind the lyrics, but most often says they are about a TV news story he saw where a man was about to kill himself by jumping off a building. In 1996, Terry Stafford, whose Elvis sound-a-like voice helped make the song "Suspicion" a Billboard #3 hit in 1964, died of liver failure at the age of 54. In 1997 - The RIAA announced that the Eagles' "Greatest Hits" album had tied Michael Jackson's "Thriller" as the all-time best-selling album in the U.S. In 2010, Alex Chilton, the lead singer for The Box Tops on their Billboard Top Ten hits "The Letter" and "Cry Like A Baby", died following a heart attack. He was 59.
the late great, crooner Nat "King" Cole was born today in 1919. Celebrating birthdays today include Paul Kantner of Jefferson Airplane/Starship (1941), Billy Corgan from the Smashing Pumpkins (1967), Caroline Corr of The Corrs (1973), & John Sebastian of The Lovin’ Spoonful (1944), among others.